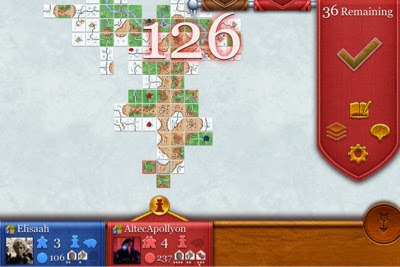 I love that you just KNOW there's going to be an expansions released for Carcassonne around Christmas. This is an evergreen for us and a new expansion is great to keep us coming back. It took me a while to buy it because at the time it was the most expensive app I had (that's changed now...) but it was totally worth it and I wish I had bought it sooner! It lead to me getting my wife and our neighbors switching to ios so we could all play; now that's a successful app conversion!